How Do Your Patients Like to Schedule Appointments? 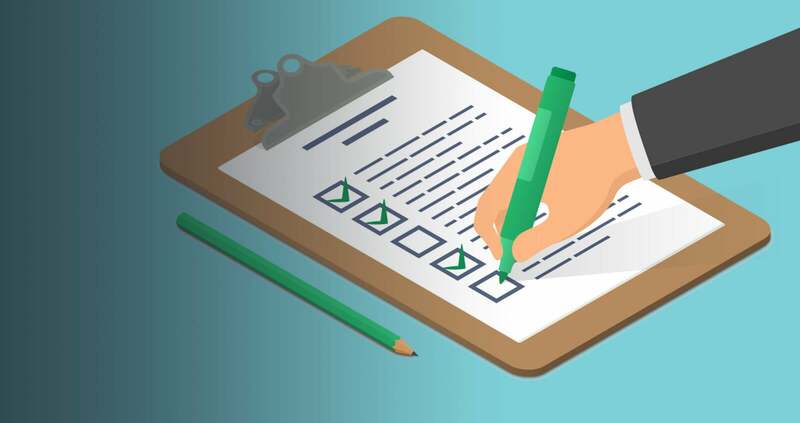 This is the second in a series of three blog posts about patients’ habits and preferences related to appointments and referrals, covering such topics as patients’ preferred method of scheduling appointments and how often they follow through on referrals. The data featured in this blog series is based on survey responses from nearly 14,000 patients across Phreesia’s network. Appointment scheduling is one of the most central processes in a medical practice. If patients have trouble making appointments, they won’t be able to access care and the organization will be unable grow and achieve its mission. Scheduling an appointment used to mean just one thing: picking up the phone and calling the practice. But a growing number of patients are choosing to schedule their medical appointments online, at times of the day that work best for them. That’s consistent with the overall trend of consumerism in healthcare, in which patients seek out the convenience, flexibility and other service-oriented features that they are accustomed to experiencing in other industries, such as retail and banking. 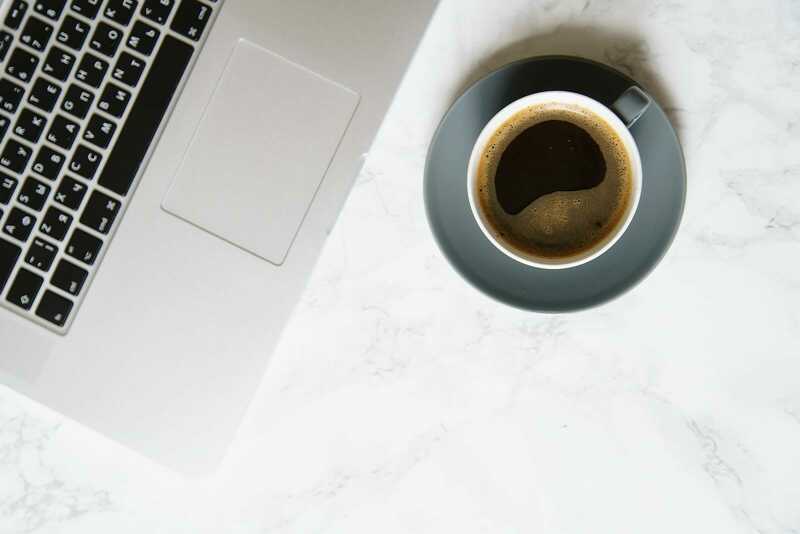 According to Phreesia’s survey of nearly 14,000 patients, 18% of respondents said they preferred to schedule appointments with their healthcare provider online, while 65% said they preferred scheduling over the phone and 15% preferred scheduling in-person. The percentage of patients who preferred online appointment scheduling was higher among younger patient groups—21% among respondents ages 18 to 24, 25% among those 25 to 34, and 24% among those 35 to 44. The numbers among older patients are slightly lower—14% for patients 55 and 64, and 8% among those 65 and older—but that doesn’t mean older adults won’t use online appointment scheduling. In an article from consulting firm McKinsey & Company, the authors called the notion that only young people use technology to manage their health and healthcare needs “one of the most common myths about healthcare consumerism.” While millennials were most likely to schedule an appointment online, check their health information or text with their provider, a significant and growing number of adults over age 65 enthusiastically embrace technology when given the opportunity. 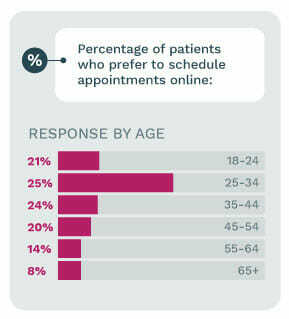 Why do many patients prefer scheduling appointments online? The process is often faster and it can be done during or outside of normal business hours, on a computer or mobile device. In fact, online appointments is among the consumer-centric features patients are increasingly seeking out when choosing a practice. According to recent research from the consulting firm Accenture, the majority of patients think it’s important to have the ability to book, change or cancel appointments online. When the patients across Phreesia’s network were asked how long they typically had to wait when scheduling a medical appointment over the phone, 16% said they were on hold between 2 and 5 minutes, and 7% said they typically waited on hold for more than five minutes. 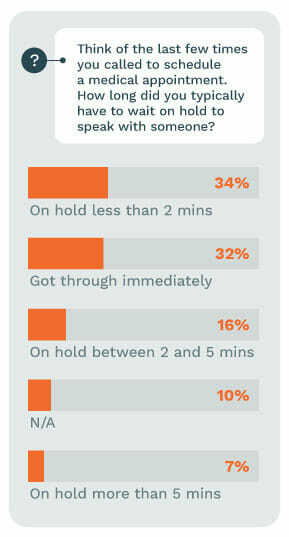 In other words, nearly a quarter of patients reported that their typical hold time was over two minutes. That’s a concerning data point considering long hold times (and possible hang-ups) not only negatively impact the patient experience, but they can also impact revenue, patient retention, online reviews and word-of-mouth referrals. What are the takeaways from this portion of the survey data? Patients increasingly prefer the option to schedule their medical appointments online. 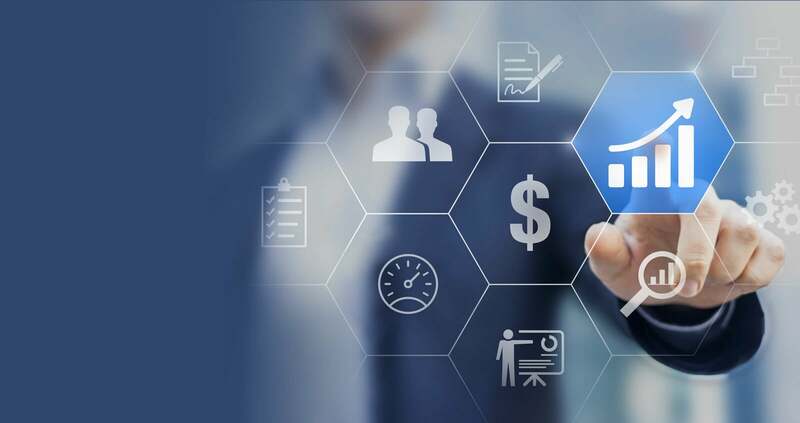 Healthcare organizations should consider offering that feature as a way to improve the patient experience and drive retention—but also as a means to improve efficiency and reduce staff workload.